Fits 2003-2006 Infiniti G35 Coupe / G35 Sedan with 3.5L V6 - VQ35DE. Fits 2003-2006 Nissan 350Z with 3.5L V6 - VQ35DE. King XP Series High Performance Connecting Rod Bearings. Successful race engine builders are constantly pushing the limits of load capacity to new levels. Engine Code: VQ30DE, VQ35DE, VQ37VHR. 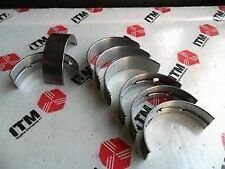 Rod Bearings Set Size Options Main Bearings Set Size Options - Ending Soon. - New Arrivals. - Add to Favourites. Quick Links. CARPARTSWIZ “the smart way to buy auto parts”. For sale is a ACL Race main engine bearing set for the Nissan VQ35DE 3.5L V6. These are standard size bearings. Nissan VQ35DE 3.5L V6. High performance driving demands that you use the best parts. So rely on ACL's Race Series Products to perform to the exacting race standards you expect. ACL Race Main Kit Nissan GTR VR38DETT Engine. Each ACL race bearing design features the following Note: Available in STD, size for Main Bearing. Note: Picture is for reference use only. Increased crush and tighter wall tolerance for better seating. Engine Code(s): VQ35DE. Nissan 350Z, 287hp-300hp (2003–2006). Infiniti G35 Coupe, 280hp-298hp (2003-2007). Infiniti G35 Sedan, 260hp-298hp (2003-2006). Hardened steel backing on all connecting rod bearings. "NSK Mainshaft Bearing --. NSK MAINSHAFT BEARING. Condition : New. Therefore all implied warranties that may apply to your part are limited to the duration of this written warranty. Each warranty gives you specific rights, and you may have other rights which vary from state to state. 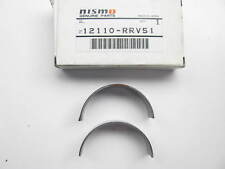 Nissan part number 12110RRV51. VQ35DE, STANDARD SIZE. 2003-2006 Nissan 350Z VQ35DE, STANDARD SIZE. Be sure the part you are buying is correct for your application. VQ35 MAIN BEARINGS COSWORTH FOR NISSAN VQ35DE Z33 350Z G35 VQ25 VQ30 IN STOCK! Buy high-quality parts from Turbo_Crafts to build your Subaru engine and save BIG! COSWORTH HIGH-PERFORMANCE BEARING KIT FEATURES. VQ35DE; Nissan 350Z (none HR), Maxima, Altima, Pathfinder, Quest, Murano. This is a wiring service to convert your VQ35HR engine harness out of an 07-08 350z to be plugged into your 03-06 350z or G35 chassis. 1 - An unmodified and complete engine harness from an VQ35HR 07-08 350z or G35 Sedan. .020 oversize Main & Rod Bearing Set 3.5 Litre V6 for Infiniti & Nissan. Altima V6 3.5 02-05 - Maxima 02-08 - Murano 03-07 - Pathfinder 01-04 - Quest 04-09 - Infiniti FX35 03-08 - G35 03-07 - I35 02-04 - QX4 01-03 - 350Z 03-05 - Maxima 02-08 - Murano 03-07 - Pathfinder 2001-2004 - Quest 04-09. ACL is an engine builders top choice for their quality and consistency. Plan on running high RPMs and big boost?. Rod Bearings Set Size Options Main Bearings Set Size Options - Ending Soon. - New Arrivals. - Add to Favourites. Quick Links. CARPARTSWIZ “the smart way to buy auto parts”. Accuracy (Get the right part). Fits 2003-2006 Nissan 350Z 3.5L (VQ35DE). Fits 2003-2006 Infiniti G35 3.5L (VQ35DE). 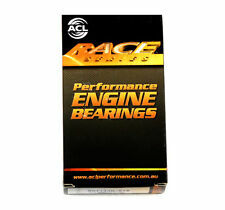 ACL Race Series High Performance Main Bearings - Standard Size. Designed to withstand higher RPM conditions, ACL Race Series Engine Bearings are available for many of the popular 4, 6 & 8 cylinder applications and feature. Engine : VQ35DE. Chassis : 350Z, Pathfinder, Altima, Maxima, Quest, Murano, Infiniti G35, QX4, I35, FX35 & M35. Part :Main Bearings. 1x 4m2633hx - Main Bearings. Nissan / Infiniti VQ35, VQ35DE 3.5L Engines - 350z, G35. 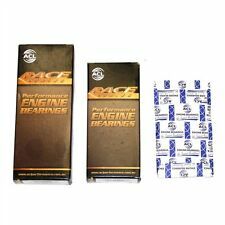 ACL Race Series Performance Engine Bearings. Designed to withstand higher RPM conditions, ACL Race Series Engine Bearings are available for many of the popular 4, 6 & 8 cylinder applications and feature. ACL Race Main Bearings are the perfect bearing upgrade when building an engine. Whether you are building a record-breaking dyno crusher or just rebuilding your daily driver's engine, ACL Bearings are cost effective and dependable. These bearings are .25mm over sized, we have standard bearings available as well. Engine :VQ35DE. Chassis :350Z, Pathfinder, Altima, Maxima, Quest, Murano, Infiniti G35, QX4, I35, FX35 & M35. Part :Main Bearings (Thrust Washer is NOT Included). Standard Main & Rod Bearing Set 3.5 Litre V6 for Infiniti & Nissan. Altima V6 3.5 02-05 - Maxima 02-08 - Murano 03-07 - Pathfinder 01-04 - Quest 04-09 - Infiniti FX35 03-08 - G35 03-07 - I35 02-04 - QX4 01-03 - 350Z 03-05 - Maxima 02-08 - Murano 03-07 - Pathfinder 2001-2004 - Quest 04-09. ACL RaceMain Bearing for Nissan 350Z and G35 with the VQ35DE engine. Each ACL race bearing design features the following Note: Picture is for reference use only. Incresed crush and tighter wall tolerance for better seating. Main & Rod Bearing Set .010 oversize 3.5 Litre V6 for Infiniti & Nissan. Altima V6 3.5 02-05 - Maxima 02-08 - Murano 03-07 - Pathfinder 01-04 - Quest 04-09 - Infiniti FX35 03-08 - G35 03-07 - I35 02-04 - QX4 01-03 - 350Z 03-05 - Maxima 02-08 - Murano 03-07 - Pathfinder 2001-2004 - Quest 04-09. 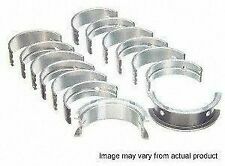 Clevite Connecting Rod Bearing Set Nissan 3.5L VQ35DE 2001-2006. Engine: VQ35DE. One often overlooked part when building an engine is the bearings. We use Clevite Race Bearings in many of the race engines we build here. ACL Race Main, Rod, and Thrust Complete Bearing Kit Nissan 350Z and Infiniti G35 with VQ35DE Engine. Note: Available in STD. 025. 25 size for Rod bearing. Each ACL race bearing design features the following. Engine: VQ35DE. Bearings are a wear item and should never be re-used. If you are building an engine, put a good of bearings in it. We use Clevite often and they never give us problems. To compensate for the high-load factors and distortion in these engines, these bearings have higher eccentricity and a high crush factor. Nissan & Infiniti 3.5 Litre V6 Rod Bearing set for all 6 Cylinders. See applications for you vehicles model & year. Only you can see what it costs on your end. 3/4 grooved Main Bearings to optimize bearing load carrying surface area and oil flow to the conrod bearings. Fits 2003-2006 Nissan 350Z 3.5L (VQ35DE). Fits 2003-2006 Infiniti G35 3.5L (VQ35DE). ACL Race Series High Performance Connecting Rod Bearings - Standard Size. Nissan & Infiniti 3.5 Litre V6 Rod Bearing set .010 Oversize for all 6 Cylinders. See applications for you vehicles model & year. Only you can see what it costs on your end. King Main Bearings 0.50mm Undersize Fit 95-15 Infiniti Nissan VQ25HR VQ30DE. High strength overlay plate with reduced thickness for improved fatigue properties. Hardened steel backs on all rod bearings to improve the support of the bearing lining and assist with bearing retention in the housing. Engine: VQ35DE. 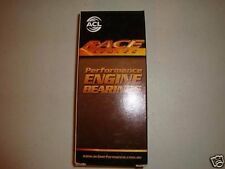 ACL Race Series Performance Engine Bearings. Car Model: 350Z. Thickness: STD. Elimination of flash plating on the back of the bearings to improve heat transfer through the bearings and to maximize the grip between the bearings and its housing. Main Bearings Set for 95-15 Infiniti Nissan 2.5L 3.0 3.5 VQ25HR VQ30DE. High strength overlay plate with reduced thickness for improved fatigue properties. Hardened steel backs on all rod bearings to improve the support of the bearing lining and assist with bearing retention in the housing. ACL (4M2633HX-STD) Standard Size High Performance Main Bearing Set for Nissan. Designed to withstand higher RPM conditions, ACL Race Series Connecting Rod Bearings are available for many of the popular 4, 6 & 8 cylinder applications and feature. Thrust Washer Bearing Set for 3.5 Nissan's & Infiniti V6 Engines. See applications for your car or SUV. Infiniti FX35. Infiniti G35. 3.5L V6 3498cc 2008-2003. 3.5L V6 3498cc 2006-2003. Infiniti I30. 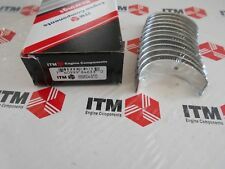 1x 4m2633h - Main Bearings. Nissan / Infiniti VQ35, VQ35DE 3.5L Engines - 350z, G35. ACL Race Series Performance Engine Bearings. Designed to withstand higher RPM conditions, ACL Race Series Engine Bearings are available for many of the popular 4, 6 & 8 cylinder applications and feature. Engine: VQ30DE VQ35DE. ACL Race Series Performance Engine Bearings. Car Model: 350Z. Thickness: STD. Elimination of flash plating on the back of the bearings to improve heat transfer through the bearings and to maximize the grip between the bearings and its housing. Engine Code: VQ25HR, VQ30DE, VQ35DE. We have different sizes for your parts. Engine Bearings are available in Standard sizes and Oversizes.010. 020. 030. 40. Rush My Parts will not be responsible for any labor, towing, fluids, Freon, filters, lodging, and car or truck rental. ACL (6B2640HX-STD) Standard Size High Performance Rod Bearing Set for Nissan. Designed to withstand higher RPM conditions, ACL Race Series Connecting Rod Bearings are available for many of the popular 4, 6 & 8 cylinder applications and feature. ACL 4M2633H. Nissan Pathfinder 2016 3.5L 3498CC 213Cu. V6 GAS Naturally Aspirated. Infiniti QX4 2001-2003 3.5L 3498CC V6 GAS DOHC Naturally Aspirated. Infiniti I35 2002-2004 3.5L 3498CC V6 GAS DOHC Naturally Aspirated. ACL (4M2633H-STD) Standard Size High Performance Main Bearing Set for Nissan. Designed to withstand higher RPM conditions, ACL Race Series Connecting Rod Bearings are available for many of the popular 4, 6 & 8 cylinder applications and feature.